More news to pass on. 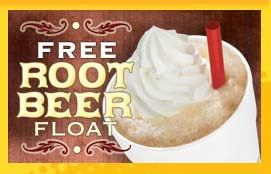 Sonic is giving away free rootbeer floats. It all happens on June 7th from 8pm - Midnight. Drive up, press the red button, and order your free float. There's no catch.